World’s first patented no screw thread closure; The Hegen Press-to-Close, twist-to-Open, PCTO innovation allows the bottle to be pressed on and twisted off conveniently with zero spillage. 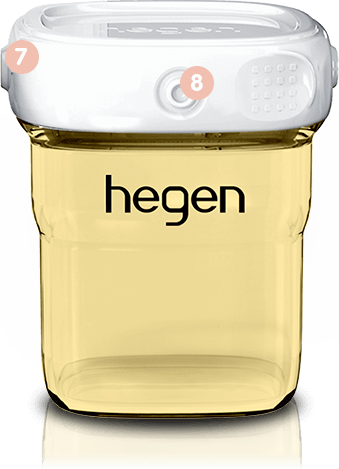 Hegen PPSU bottles are available in three sizes – 5oz/ 150ml, 8oz/240 ml and 11oz/330ml. 5oz/150ml bottles come with Hegen slow flow teats, 8oz/240ml bottles come with Hegen medium flow teats while 11oz/330ml bottles with Hegen fast flow teats.